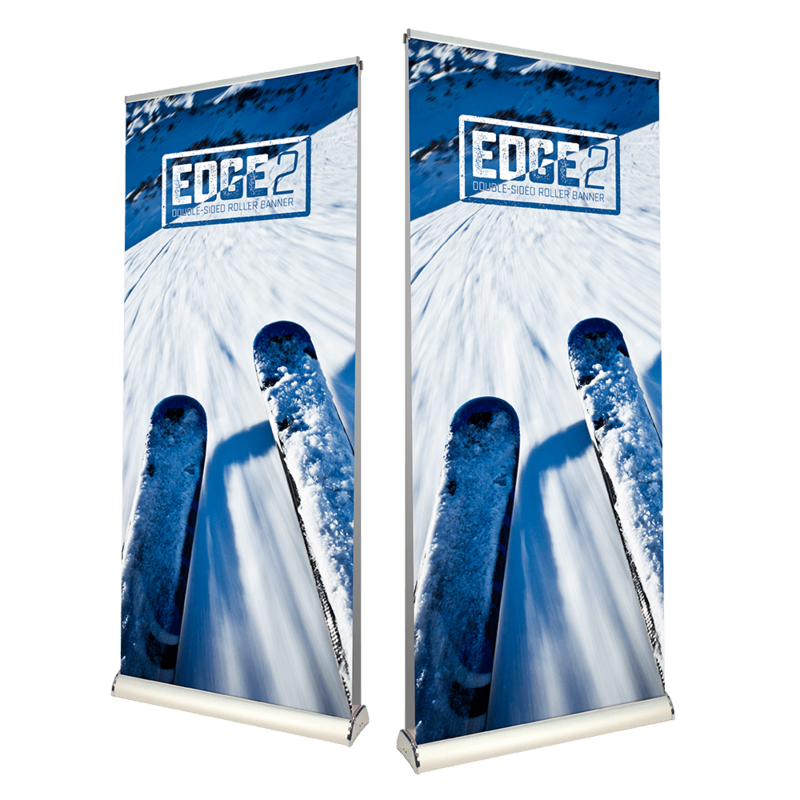 Edge 2 Roller Banner Impress your clientele with the Edge 2 Roller Banner. This roller banner is a premium double-sided display that will deliver your message with dynamic visual flair. Project Design Print will print your graphic(s) on 400gsm anti-scuff, anti-curl, and anti-glare SoFlat, so you can rely on its durability and world-class graphics quality. 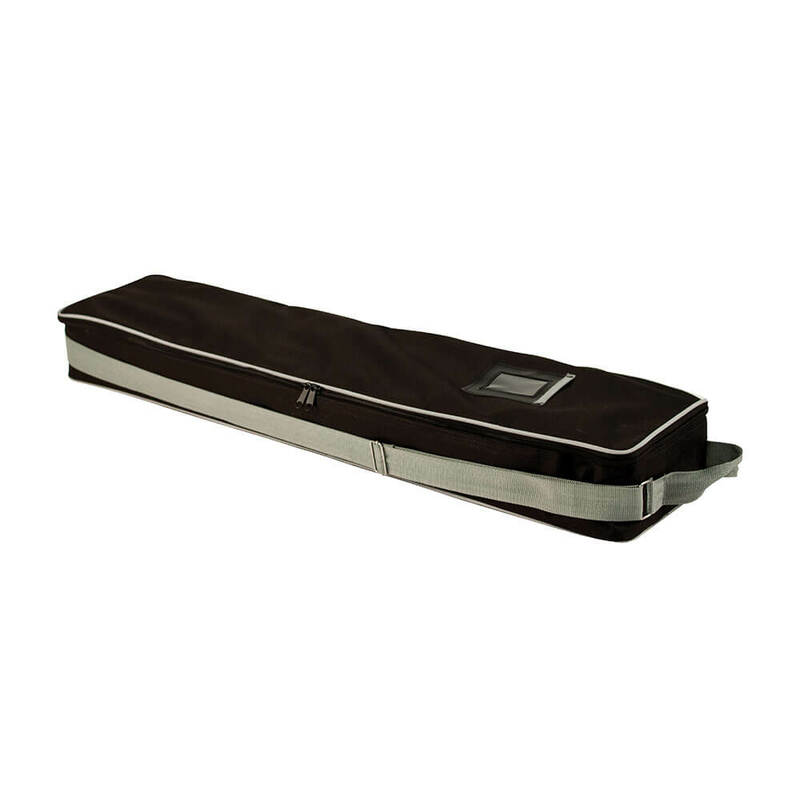 This roller banner boasts versatile chrome-finished end covers and will arrive with its bungee pole and carrying bag. 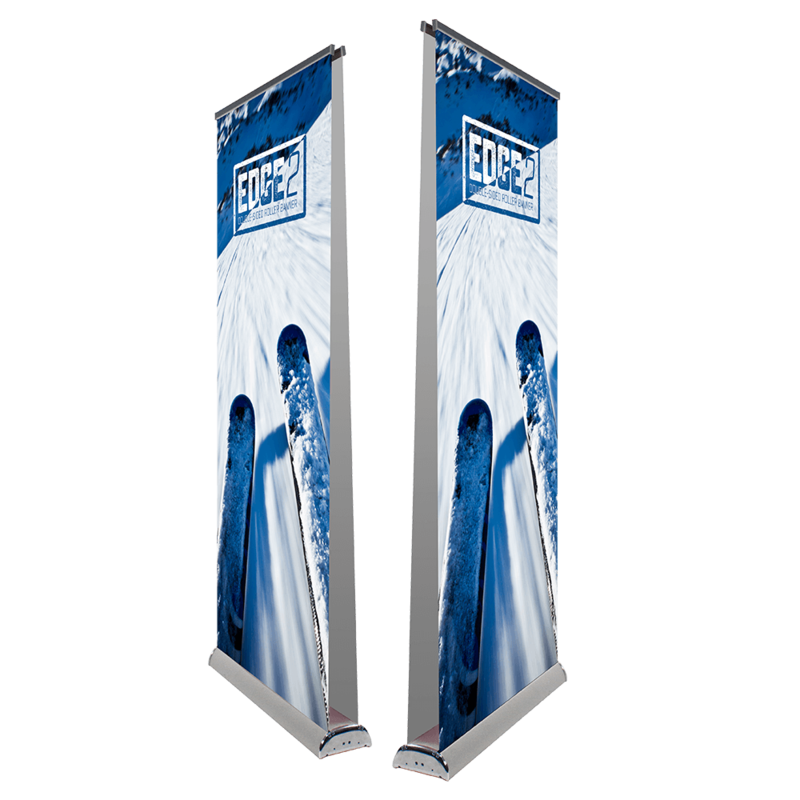 Employ this roller banner at business conventions, trade shows, retail stores and shopping centres, airports, arenas, and more. 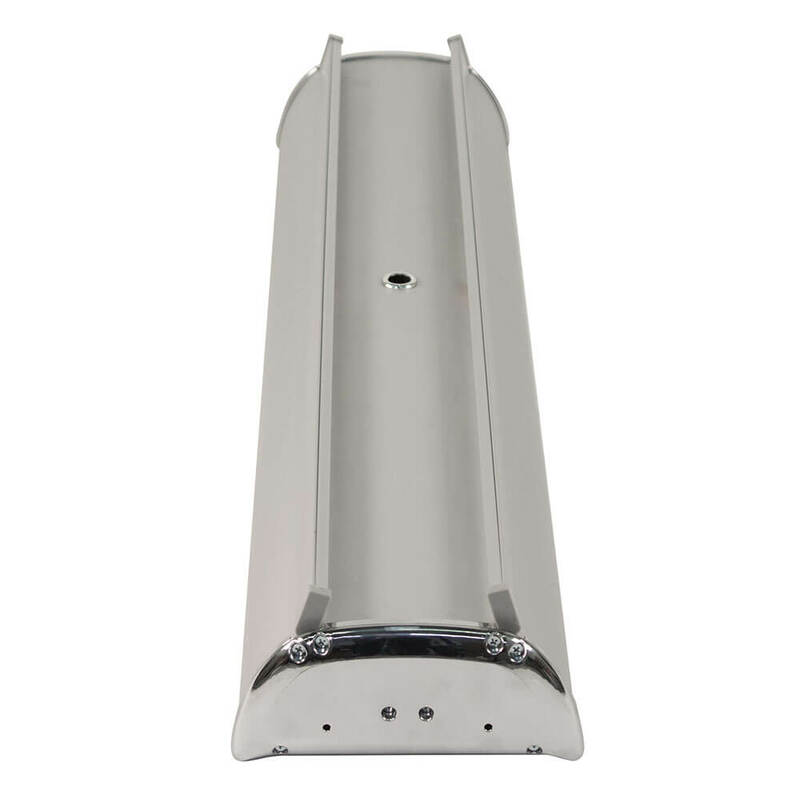 Its double-sided display delivers your message whether your audience is coming or going.